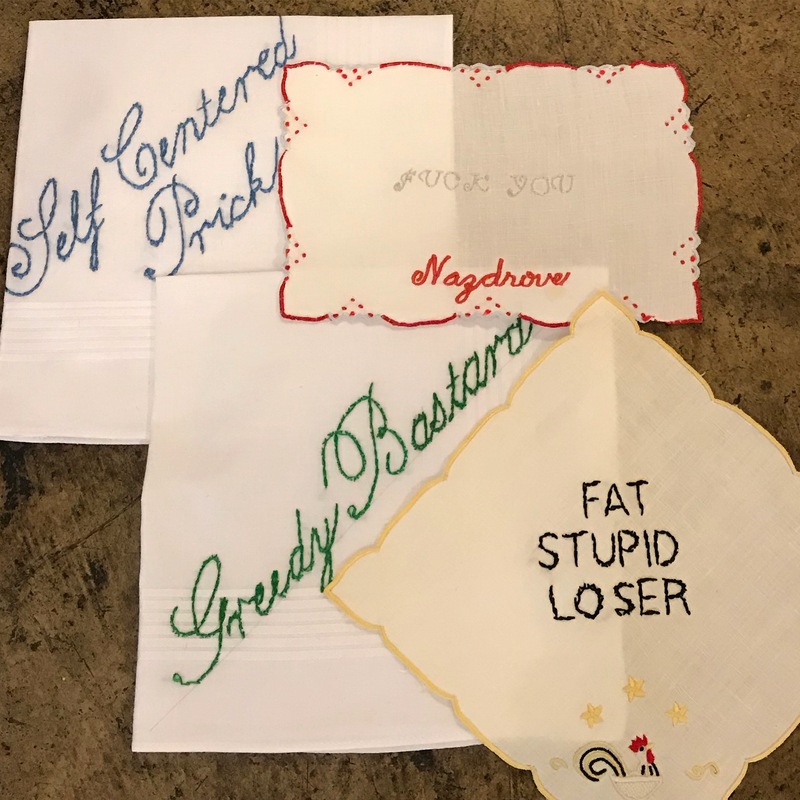 Judy Vetter hand embroiders sentiments on vintage cocktail napkins with love. Each priced seperatly. 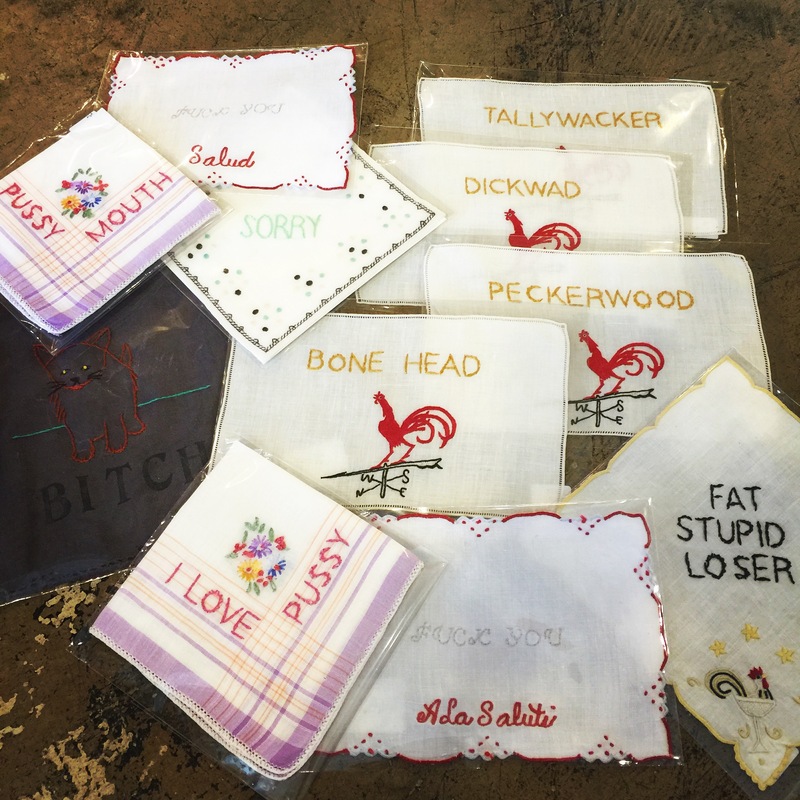 Tom and Judy just embroidered a bunch of new cocktail napkins on vintage linens full of insults. 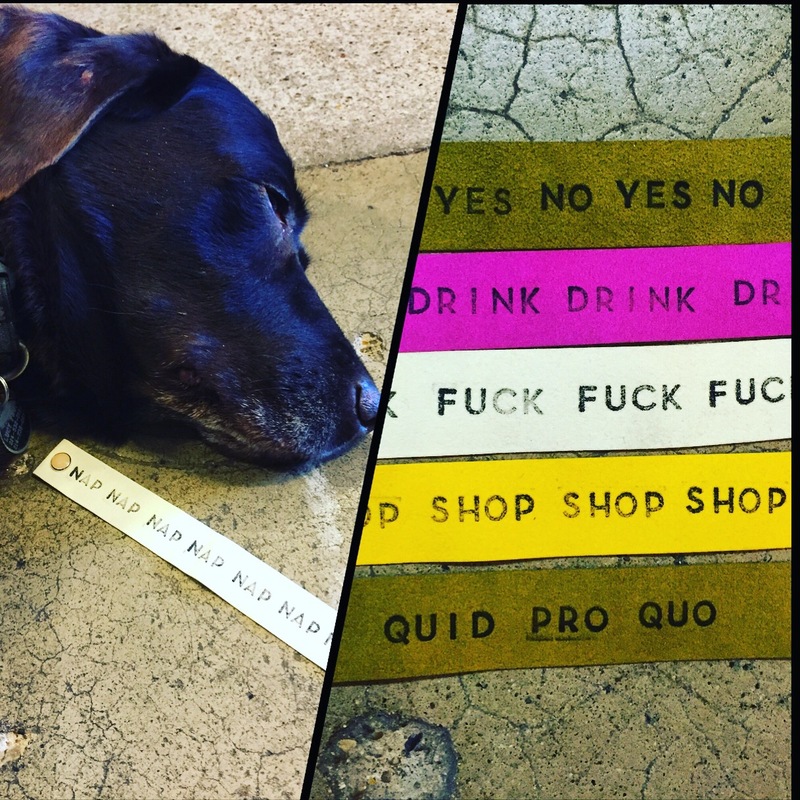 New hand done wrist bands lovingly done by Tom and Judy. $7.50 each or 3 $20. 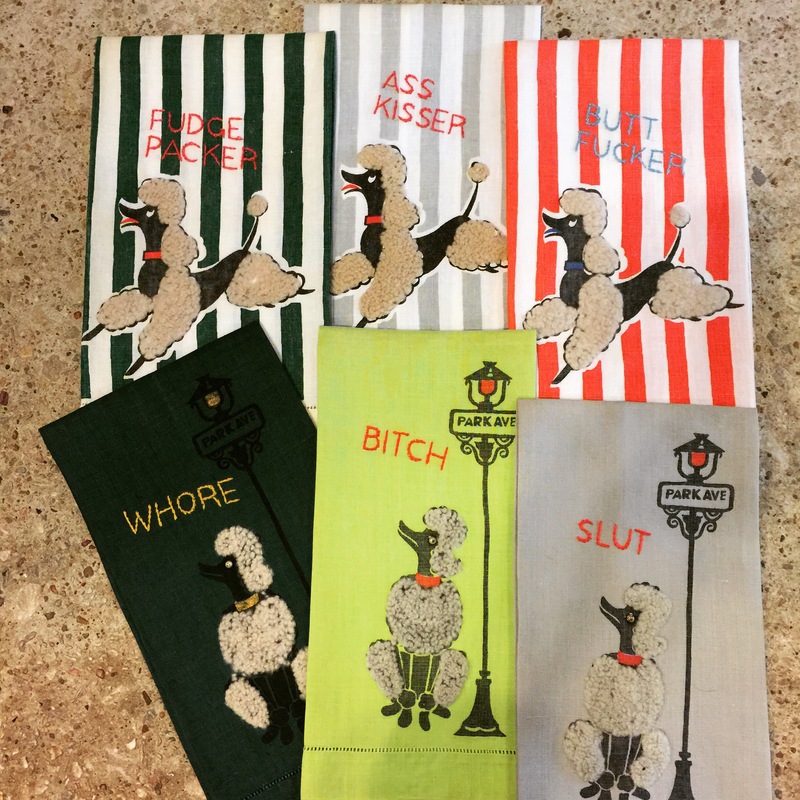 Tom and Judy did it again this time on these cocktail napkins. $15 each.